2 What makes it better? SQLi Dumper is an automated SQL Injection tool that is used in penetration testing to figure out and exploit SQL Injection vulnerabilities on a website. This tool requires a .NET Framework 4.0 or greater. There are several factors that make it better than the other exploitation tools. And many more…that you can discover it yourself. MySQL 2000 and 2005 with both Error and Union Based. Many other databases are supported by this tool. 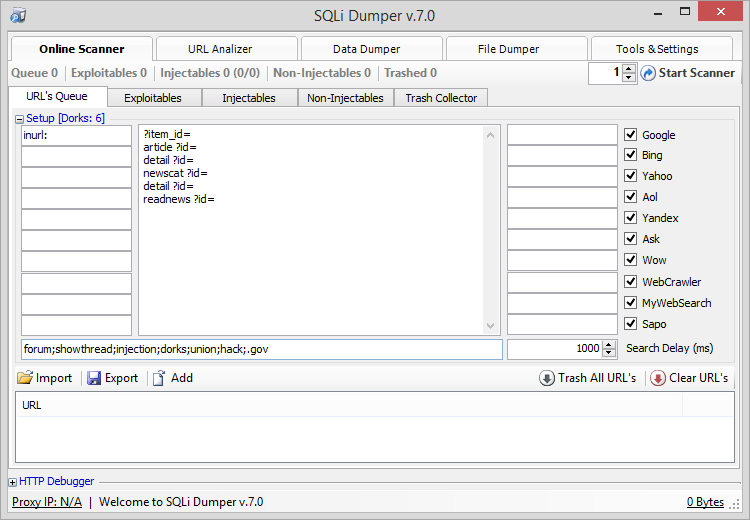 Click here or here to download SQLi Dumper v7.0 Cracked. Password is EHT.